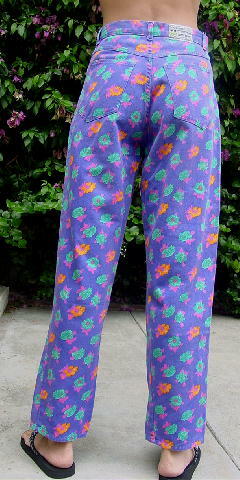 These light purple 100% cotton jean style pants are by Naf Naf and were made in Argentina. There is a 6 1/4" long zipper fly. 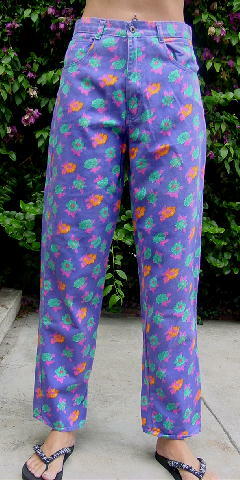 They have 3 front pockets, 2 open back pockets, and flowers and leaves in seafoam, turquoise, pink, white, lavender, and orange on a light purple background.